In recent years, this area has always been at the top searching list of investors and buyer. Experts said that with the picture of infrastructure is very bright, in the upcoming time, the “flush” of land has not given any sign of going down and predicted the price will increase higher than earlier this year. In 2016, the District 9 reaches the top in HCMC real estate market; however in 2017, the balance has moved to District 2, which focus on Cat Lai. A series of information about infrastructure appeared in Cat Lai at the same time has made the market hotter than ever. Only in 2017, Cat Lai has started the construction of My Thuy intersection with VND840 billion in investment (expected completion in the next few months), beginning to work in the bridge to Kim Cuong Island project with the investment capital of VND500 billion (will be put into operation in the end of May or beginning of June 2018). 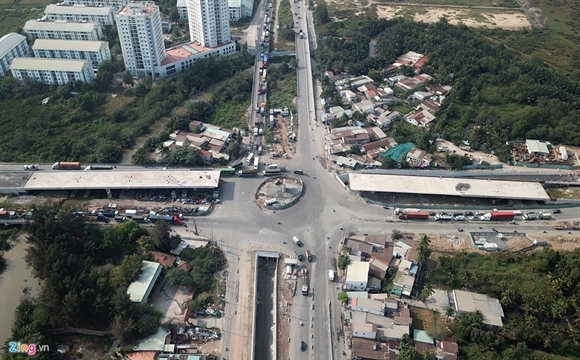 Cat Lai Bridge (connecting Ho Chi Minh City – Dong Nai Province) was approved with the investment capital of VND5,700 billion, Nguyen Thi Dinh Street is expanding the road to 70 – 77 meters with the capital of 1,400 billion. Coming in 2019, Cat Lai will start the project of Crisis – Sports Center Rach Chiec – the heart of Seagame 31 with 7,000 billion in investment. In the other hands, many billion projects is contributed in changing the look of Cat lai positively, which are in the implemented phase. The completion of main important traffic junctions, which will be more convenient, smoother to travel from Cat Lai to District 1, District 7, District 9 within 10 to 15 minutes. Another advantage is that Cat Lai is the “left-over” land in District 2, which are still relatively soft price comparing to other projects in the same area. A quick survey shows that housing prices in District 2 are currently increased 30% -200% than Cat Lai. Therefore, the investors / buyers are anxious to hunt for a settlement or investment in Cat Lai before the price increase too high is understandable. As the report since 2017, developers, investors, consultants and landlords have been active in Cat Lai, creating a very exciting market. In just a few months, a product can be sold as hand-to-hand several times, the profit is up to hundreds of millions vnd. Along Dong Van Cong Street, Nguyen Thi Dinh Street and Cat Lai area, the retail transaction office appears quite a lot. Mr. Hung – Director of a transaction office in Cat Lai revealed, in average he received dozens of customers to deposit, buy and sell products here. Suppliers may come from the secondary market or individual projects, which was sold in the form of retail sales. The common feature is that the transaction takes place quickly, customers have directly contacted through posting on several market channels. According to figure, from 2017 to present, Cat Lai provides more than 2,000 products including townhouses, apartments, land to the market. Up to this time, all the products provided by the suppliers have a transaction rate over 95%. The record shows that the profit of hand – to – hand selling is from 200-300 million. At the same time, the profit of the main – road – houses are billions. District 2 has high class residents such as a knowledge population, businessmen, and civil servants…., who has high income. They have high demand of looking for secured villas urgently. Especially in the time that many infrastructure projects are coming to be completed, the demand for villas in Cat Lai is rising. However, in recent years, supply is not enough in the real estate market. 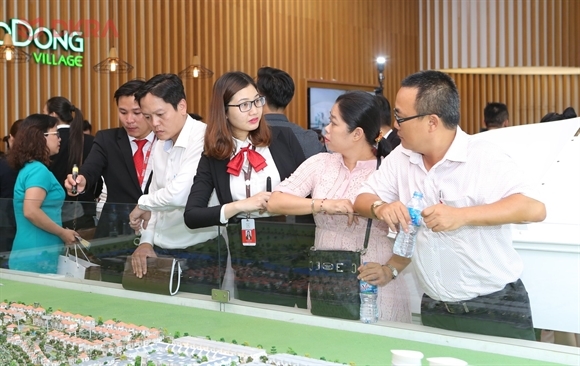 In early of May, Saigon Construction Corporation (SCC) – the investor cooperated with DKRA Vietnam – The exclusive distributor launched the compound Sol Villas (in PhoDong Village) with only 101 luxury villas. Sol Villas is reported as the only compound villa project which have been launching in Cat Lai over the past two years. Because the project responds to high demand, which is prompt to take very positive. DKRA Vietnam revealed that Sol Villas belongs to “luxury” segment. High – class projects are often limited their target audience, so the investors put in place a long-term sales roadmap. However up to 90% of villas of Sol Villas are chosen by our customers in the first two weeks launching products. The Sol Villas is sell a project as a demonstration of attraction of Cat Lai real estate to all class of customers.